Vitamins A and C aren’t just good for your health, they affect your DNA too. Researchers at the Babraham Institute and their international collaborators have discovered how vitamins A and C act to modify the epigenetic ‘memory’ held by cells; insight which is significant for regenerative medicine and our ability to reprogramme cells from one identity to another. The research is published in Proceedings of the National Academy of Sciences (PNAS). For regenerative medicine, the holy grail is to be able to generate a cell that can be directed to become any other cell, such as brain cells, heart cells and lung cells. Cells with this ability are present in the early embryo (embryonic stem cells, ESC) and give rise to the many different cell types in the body. For the purposes of regenerative medicine, we need to be able to force adult cells from a patient to regress back to possessing embryonic-like capabilities and to ‘forget’ their previous identity. A cell’s identity is established at the DNA level by epigenetic changes to the DNA. These changes don’t alter the order of the DNA letters but control which parts of the genome can be read and accessed. Consequently, every different cell type has a unique epigenetic fingerprint, enforcing and maintaining specific patterns of gene expression appropriate to the cell type. To reverse cells back to the naïve pluripotent state this epigenetic layer of information has to be lost to open up the full genome again. 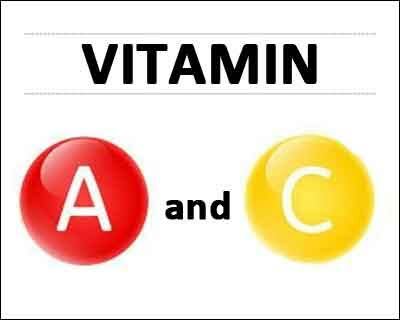 The improved understanding of the effect of vitamin A on the TET2 enzyme also potentially explains why a proportion of patients with acute promyelocytic leukemia (once considered the deadliest form of acute leukemia) are resistant to effective combination treatment with vitamin A. By providing a possible explanation for this insensitivity for further investigation, this work could point the way to better management of the vitamin A resistant cases.